The Professionals at Abbondanzo’s use imaginative and innovative ways to bring beauty and experience to every project. We can help you realize your dreams, while at the same time keeping a close eye on managing your budget. 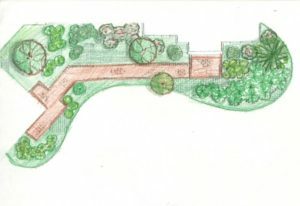 Whether your project is large or small, we can help design and build the right garden for you. * Abbondanzos does charge for Landscape Design Services. Your process will be guided by our professionally trained and award winning design /build team . Call today for an appointment to visit our design studio and see for yourself examples of what they can create for you! *All our plant material is selected by hand and is guaranteed to meet the standards set by the AAN and ANSI. Visit out landscape construction page here.